People love this speed rope because it builds their endurance, speeds up their fat loss and helps to get that perfect body as fast/quick as possible. 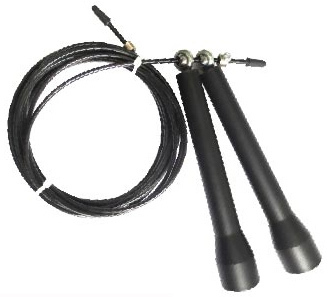 For Ultra Fast Spinning to easily master those Double Unders! Industrial-grade smoothed STEEL tips make the rope spin much smoother and faster. One of the lightest high-speed jumping cables on the market.